Started publication in 1980 (Rhodesia became Zimbabwe in 1979). "Zimbabwe Law Reports consolidate prominent cases that are of high prominence in any legal aspect or legal question. Only cases which settle a legal position are considered into the law reports. Usually these are cases tried in the Supreme Court or the High Court of Zimbabwe. Zimbabwe Law Reports can come in either one or two volumes, depending on the year and its legal events." As of 2010, the Zambia Law Reports (Z.L.R.) were the only law reporter in Zambia. Z.L.R. includes decisions of the Supreme Court and some decisions of the High Court. 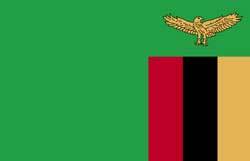 Prior to Zambia’s independence in 1964, the two law report were the Northern Rhodesia Law Reports (N.R.L.R. ; 1911–1954) and the Rhodesia and Nyasaland Law Reports (R. & N.; for 1954–1963).